For events already looking ahead to next season, we've started collecting key dates to help in the planning process. 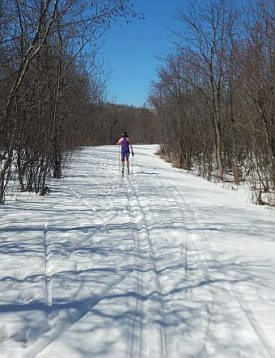 We've collected together a bunch of common questions to assembly our own FAQ for cross-country skiing in the Midwest and using the Skinnyski website. Found a photo you'd like to get a copy of? Looking for images from a past event? Find out how to dig through our archives and help support the web site by purchasing photographs. Gear West has job openings for Nordic Sales Associate, Inventory and Receiving Associate and Ecommerce Associate. Apr 20 Earth Day Races - St. 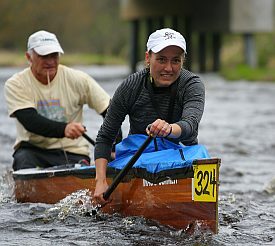 Cloud hosts Earth Days with a half marathon running race in their 20th season. Apr 20 Quarry View Races - 5K and 10K running races along the big quarry in Menomonee Falls. Apr 20 Wisport Friendly Century - Start the season with friendly race, warm up 20-40 miles, then optionally race the last 20. Apr 20 Herd 'Em Up 5K - A 5K race to benefit restoration of Myrick Park in La Crosse. Continental is hosting their annual bike swap the weekend of April 27-28th. A wide selection of bikes will be available and part of the proceeds benefit local charities. The Mora ski community is mourning the passing of the founder of the Vasaloppet USA ski race, Glen Johnstone, who died Friday, April 12th at the age of 90. Johnstone was the driving force in creating the Vasaloppet ski race and his vision for a high quality ski race with a hometown flair helped guide the race throughout it's 48 year history. A Memorial Mass will be held at Tuesday, April 23th at St. Mary's Catholic Church in Mora. With Thursday's snowfall, a number of skiers took the opportunity for one last ski. New reports from Keweenaw backcountry(2) , Snowflake , Wolverine , Maplelag , and recent reports from Snowflake, Magney-Snively. 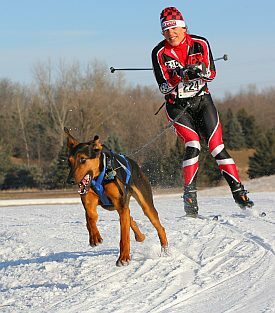 The annual Minnesota high school Nordic skiing coaches association meeting is this Saturday, April 13th, at the Vasaloppet Center in Mora. There will be an opportunity for Level 100 Coaches Education with CXC's Joe Haggenmiller earlier in the morning, before the coaches meeting. Please RSVP. Finn Sisu has a spring-cleaning sale going on with a nice range of demo skis on sale. 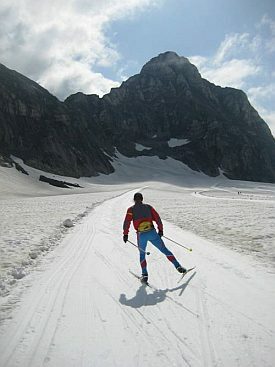 Also check out their roller ski maintenance check list and discounts on Marwes for EU Learn to Roller Ski participants. CXC will honor a number of individuals as part of the CXC Congress in late April. Awardees include lifetime commitment: Jack Jeffery; volunteer impact: Jim Tervo; community leader: Ted Theyerl, Chippewa Valley Nordic Ski; excellence in coaching: Kevin Brochman, Minneapolis Ski Club.